West Indies cricket has taken a massive step in the right direction over the last year. After three home Test series without a win, they saw off England 2-1 earlier this year. However, what could really see the Windies on the up is changes at the top of the game. 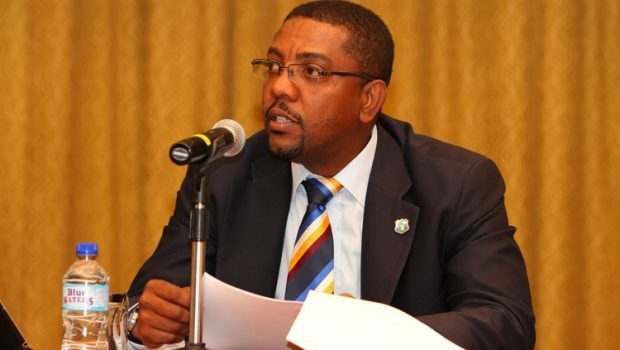 Dave Cameron, president of West Indies Cricket, may have to step down from the post he has held for the past six years, with Windies team manager Ricky Skerritt ready to challenge him. Many West Indies fans are surprised by this turn of events – but in a good way, because the 47-year-old is not exactly ‘Mr Popular’ in the Caribbean cricketing circles. His tenure has been marked by criticism from players, both past and present, and the divide between Windies fans and the WICB intensified after the 2016 T20 World Cup. After Windies beat England in a thrilling final to win their second T20 world title, former Windies captain Darren Sammy stepped up to expose the WICB’s shortcomings. As well as highlighting a bitter contractual dispute between the board and its players, Sammy revealed the Windies team was sent to the World Cup without even the right uniform. Although Cameron took over the WICB during turbulent times, and with the popularity of cricket one the wane in the West Indies, his reign has seen the sport’s fortunes take a nose dive. Despite the odd bright spot such as this winter’s win over England, the Windies currently occupy lowest ranking they have ever been in, over the three formats of the game. One of the biggest reasons for their failures on the field is down to the lack of top players in the team. The likes of Chris Gayle and Dwayne Bravo have become superstars in T20 competitions all around the globe but aren’t available to play cricket for the West Indies. Due to the rift between the WICB and the team, the players have gone on strike twice during Cameron’s reign and now none of the players from the World Cup-winning team have central contracts with the West Indies. One of the most embarrassing days for Windies cricket was in 2014, when their players pulled out in the middle of a tour of India. It was claimed at the time that the travelling players were sent to participate in a series without receiving an actual contract from their board. He keeps his distance from them, preferring to focus on his role of generating income for West Indies cricket in tough economic conditions, but some of the board’s problems have been self-inflicted. For example, the West Indies missed the Championship Trophy for the first time ever in 2017 because the team only played one ODI series from 2015-2016; this meant that they were not able to pick up enough points to qualify. 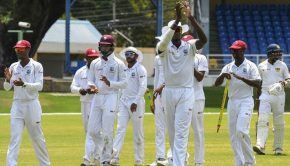 It maybe too optimistic to say that Windies will return to their 1970s and 80s heyday, when they dominated the sport, and it may be unfair to say Cameron should take all the blame for their recent woes. However his likely exit will create new hope and a rejuvenated attitude throughout Caribbean cricket. And what better time to do it, coming off a great series win and with the new young talent coming through. The West Indies should capitalise on this, and give their fans something to cheer come the World Cup later this year.